I frequently receive the question, “Is Soy Healthy?” Some readers are eager to hear the research, but many also want to know my personal stance on soy. 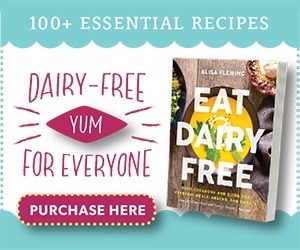 There is a full section on this topic in my book, Go Dairy Free: The Guide and Cookbook. But I think it’s about time I address it for you online, too. Unlike most plant proteins, soy provides a complete source of dietary protein. This means it contains all of the essential amino acids all in one neat little package. Soymilk is the only current milk alternative that competes cup for cup with dairy milk in natural protein. Other protein-rich milk alternatives are supplemented to achieve those levels. For this and other reasons, soymilk is currently the only milk alternative approved by the National School Lunch Program in the U.S. Beyond protein, soy is also a good natural source of antioxidants, iron, fiber, omega-3 fats, dairy-free calcium (especially certain forms), magnesium, manganese, vitamin K, folate, riboflavin, potassium, and other key micronutrients. Soy is a top allergen. Like dairy, and any other food, it is possible to be allergic to soy. Naturally, a physician will likely recommend complete avoidance if a soy allergy is suspected. Unfortunately, this is the point where the pro-soy and anti-soy camps diverge. Every new soy study published allows one side to rise up and proclaim victory while the other goes on the defense. But as we all battle to take sides on the “is soy healthy?” debate, few question if the media is really giving us the whole soy story. Many consumers don’t realize that most food studies use concentrates and powders, not whole foods. The vast majority of soy interventions studies use soy protein concentrates or isolates in high quantities. Whether the results are positive or negative, this poses two real world problems. First, by using concentrates, the study participants (often rats) are typically ingesting proportionately higher amounts of soy protein than is realistic for your average person. Second, any researcher worth their salt knows that extracting a component from it’s whole will produce different effects than the food as a whole. They are stripping away an array of naturally-occurring chemical compounds that were intended to work in unison. By using extracted concentrates or “isolates”, the soy studies are merely finding benefit or detriment for certain populations in high level “supplementation”. They are rarely looking at regular dietary consumption of the whole bean for your average consumer. Though there are many studies that support soy as healthful, almost all of the “negative” soy studies used high levels of soy protein isolates for their research. Soy protein isolates, concentrates, or isoflavones are most commonly found in processed foods, like bars or other high-protein snacks, and supplements like protein powder and infant formula. On the contrary, whole soy foods and fermented soy foods have received a fair bit of praise from the scientific community. 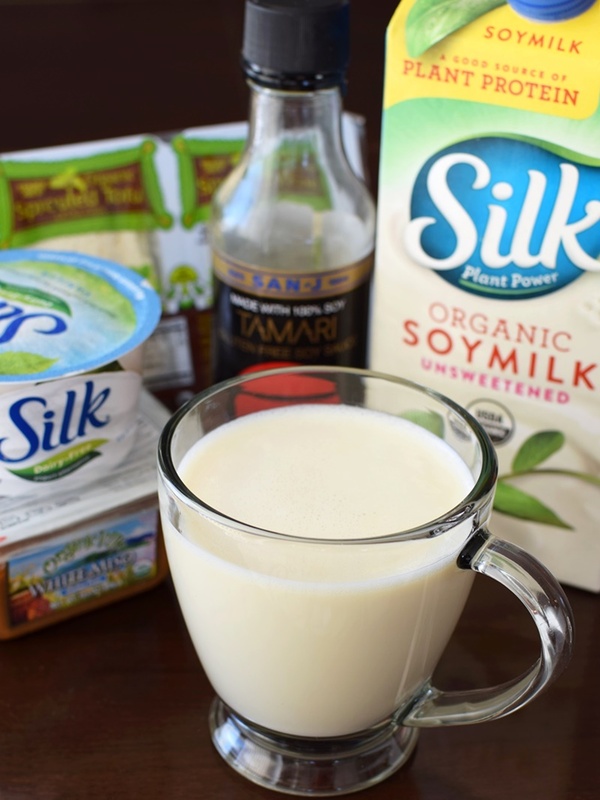 Whole soy-based foods may include tofu, some soymilk and soy yogurt, and edamame. More commonly found fermented soy foods include tempeh, miso, natto, and soy sauce. It’s well documented that Asian cultures have been healthfully consuming soy for centuries. To quickly summarize, fermented soy foods were the “traditional” modes of consumption and are considered in most circles to be quite healthy to this day. Whole soy tofu and soymilk were later introduced, and have been linked to positive health benefits in many studies. Although reports differ as to the “actual” amounts, most agree that Asians do consume far more dietary soy than Americans. A 2003 report from the UN Food and Agriculture Organization, estimated that on average, the Japanese eat nine times more soy protein than Europeans and North Americans. Some of the key concerns raised about soy are related to the weak “estrogen-like” activity of soy isoflavones. And conditions like hypothyroidism and hormonal-based breast cancer are at the forefront of these conversations. Yet, on an observational basis, the rate of thyroid conditions is lower in some high-soy Asian countries than in North America. Also, breast cancer incidence is much lower in Asia. In fact, one study showed that Asian Americans, who tended to eat less soy, had a higher risk of breast cancer than their Asian counterparts. And those Asian Americans saw a decrease in breast cancer incidence when they increased their soy consumption. This isn’t to say that soy is the magic ingredient for good health. I don’t believe any single food is. But actual studies of whole soy consumption in humans certainly aren’t prosecuting the bean either. I’m very open about the fact that I have hypothyroidism. It appears to be genetic in my family, but has been diagnosed late in each of us since we are an active little bunch. I really didn’t want to take medication, so I did the research and tried every alternative option possible, which included going soy-free. I went strictly soy-free for a year, and remained mostly soy-free for three years (just having soy sauce or miso on occasion). My numbers didn’t budge. Not one little bit. I later discovered that the supposed links between hypothyroidism and soy were merely theoretical. And if there is a link, it is in individuals with low iodine, which is very rare in developed countries. That said, some concerns have been raised about soy interfering with the absorption of thyroid medication. I haven’t found full confirmation of this, but as a precaution, your doctor may recommend a gap between taking thyroid medication and consuming soy. Organic / Sprouted Tofu – I love tofu. No really, I do. It isn’t something we have often, but sometimes baked or stir fried tofu makes it on the menu. When I feel like upping my health game, I pick up some tempeh. It’s more of an acquired taste, but is fermented, and therefore considered to be a very “beneficial” food in most health circles. Yes, even by many in the primal and paleo communities! Soy Sauce – We buy wheat-free tamari or soy sauce, both of which are made from fermented soy. It’s a staple for stir-fry nights, but also comes in handy for general seasoning and Asian-inspired salad dressings. 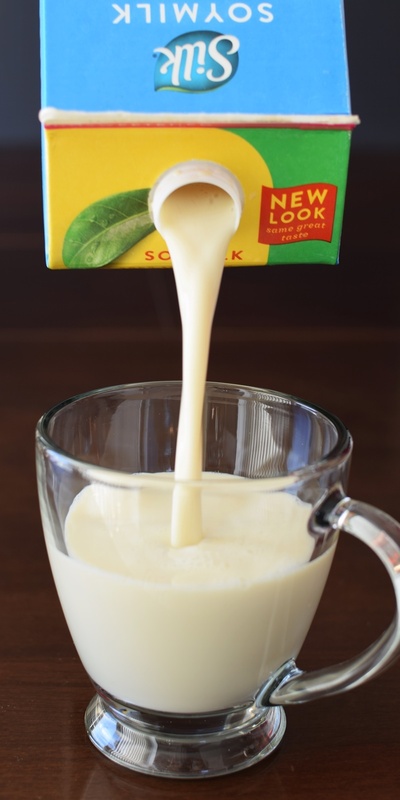 Organic Unsweetened Soymilk – I test many recipes with coconut milk beverage to keep them top allergen-free for many viewers. But my favorite convenient milk beverages are still almond milk and soymilk. In the fall, I love unsweetened soymilk on granola. I always buy a non-GMO brand like Silk, and upgrade to their organic version when on sale. Soy Yogurt – Tony and I have tried so many dairy-free yogurts over the years. And truth be told, non-GMO soy yogurt (made with whole soybeans) is still tops. 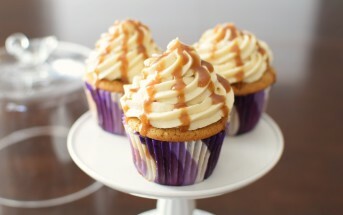 The flavored versions are sweet, and best for dessert, but the plain offers more nutritious versatility. Miso – This fermented paste is filled with umami flavor. It’s very salty, rich, and can season everything from stir-fries to homemade dairy-free “cheeses”. Soy-free miso pastes are available, but non-GMO or organic miso is much easier to find. 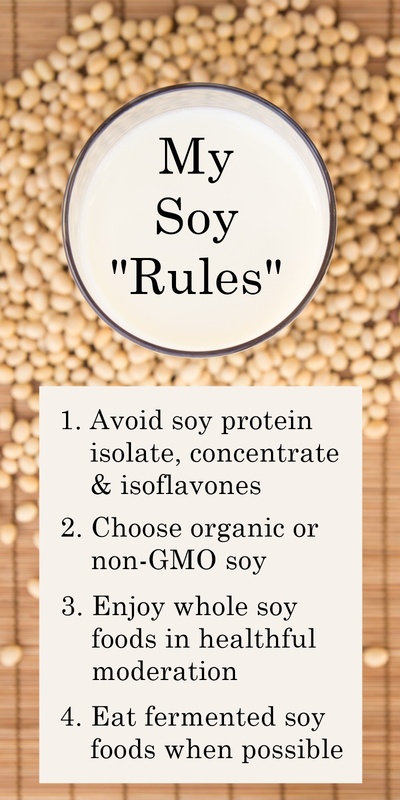 These are the personal choice “rules” that I generally follow in regards to soy. They are based on my own research and body. It is up to each individual and their physician to decide what diet is best for them. Try to avoid soy protein isolates (sometimes labeled as just “soy protein”), soy protein concentrates, and soy isoflavones as much as possible. I also use coconut or avocado oil in cooking and baking rather than extracted soy or vegetable oil. Avoid GMO soy when possible. We really don’t know much about the long term effects of GMOs on us or the environment, so I prefer to steer clear at home. Brands like Silk are non-GMO and even have organic options available. Under current government guidelines, certified organic foods must be non-GMO. Enjoy whole soy foods in moderation, as I would any other single food. This includes conveniences like soymilk, as long as they are made with whole soy. Incorporate fermented whole soy foods whenever the opportunity arises. I want to thank Silk for sponsoring this post, which was all my idea. It is one that I had been wanting to write for years, but this allowed me to find the space and time. All of the opinions here are my own, and I do buy all of the specific products shown with my own money and on my own accord. This is a completely honest and forthright post based exclusively on my own personal research. The personal stances listed are 100% my own. Please note: This article on “Is Soy Healthy?” should not be construed in any way as dietary or medical advice. It is for informational purposes only. Always consult a physician before making any changes in diet. I stopped eating any soy! It did affect my Thyroid meds and actually my count went up when I did stop eating it. So I’m not taking the chance there’s enough Plant-Based Vegan foods out there to eat. Not enough information on it. Hi Arlene, yes, as mentioned, soy protein can affect the absorption of thyroid meds (and subsequently your thyroid hormone levels from supplementation) if eaten around the time of taking – similar to how calcium or grapefruit can affect the absorption of certain medications. Glad you found your solution! I had read about the risks of soy for years but didn’t really consume it all that much. Recently I am trying to eat vegan so have renewed my research. Having been trained to read peer-reviewed research, I am going to avoid soy (I never consume GMO anything) except for fermented soy in moderation. This makes the vegan thing more difficult but as you stated, the traditional Asian consumption of soy was fermented. The data on unfermented soy is recent and what I have read has convinced me not to consume it. Hi TRH, thank you so much for sharing your viewpoint. 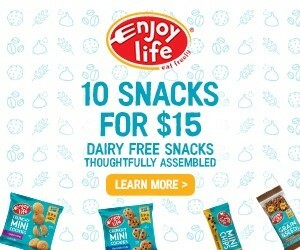 I did have to delete the promotional link you included for a few reasons: it went to a sales page, it did not include any study references (just a source from a similar article), and they recommend dairy consumption with the soy (does not help dairy-free consumers). If you have any peer-reviewed studies that show a definite cause-effect on humans with normal dietary consumption of whole soy and fermented soy products (1 to 2 servings per day or less, and no protein isolates or concentrates – the whole food), then I would LOVE to read those. I have yet to find anything beyond suppositions based on in-vitro or chemically analyzing the components of soy (not as a whole). With the one exception of low-iodine (which is considered quite rare and easy to remedy) as noted above. To note, though fermented soy is considered “traditional soy”, it has been estimated that Asian cultures have been consuming whole soy foods (tofu and soymilk) for 2000 years. That’s long enough to see it’s effects on a population I think! As always, my research is for my own health and lifestyle as well as providing useful information for readers, so I’m definitely open to reading more. 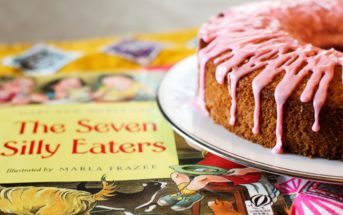 This is such a great read! So many people could learn a lot about soy from this! Love this Alisa!! I am 100% on board with what you say. As long as there is no allergy, then soy in moderation is just fine. And the whole “study” thing always gets on my nerves. My dad was a scientist and I grew up respecting the real art of studies, they need to be in peer reviewed journals and done correctly for them to mean anything! Any loon can write up something and put it online. That’s the problem with what people read, they don’t think about the source. This is so true. That said, it can also be hard to find who funded the study and for what reasons – on both sides of the equation! Great breakdown!!! I definitely think that some forms of soy are ok based on whole populations eating them, unfortunately most of what we’re getting is a completely weird modified form! Such an interesting and useful article! Such a difference between the stuff in processed food and a good piece of tofu or edamame. What an interesting read! I’ve always heard such mixed comments on soy so thank you for being so thorough. I’m GF and DF, and recently have been cooking a great amount of Japanese food (and loving it.) For years, I’ve steered away from soy because of its purported link to breast cancer (and I’m also on Synthroid); but I agree about the form in which it’s ingested, and fermented soy has always been touted as ‘safe’. Sometimes, I find it a little harder to digest than nut products, but miso soup without tofu? Nah. And now that Kikkoman is making GF soy (and other) sauces, and Tamari isn’t the only option (coconut aminos are great, but they’re so sweet), Japanese food tastes ‘regular’. And yes, we have much to learn from Asian approach to cuisine. Smaller quantities, simplicity and balance are key to Japanese cuisine. 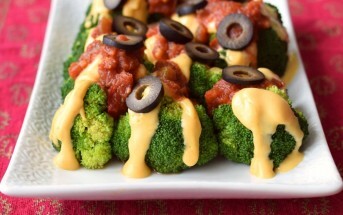 American diets can hunker down to a huge plate of tofu with additions. I don’t think this is how most Asian dishes are presented. Thank you so much, Alisa! So true. Thank you so much for sharing your thoughts on this Jane! Thank you for this helpful article! I have Hashimotos so I am careful about my soy intake too! Love this post, Alisa! Your soy rules are definitely some everyone should follow. And the discussion about whole food vs supplements/nutrient isolates has become so interesting in the health food-world as well! It definitely applies not just to soy but to almost all vitamins and minerals now too. *Yay* for whole foods, for sure. Thank you Rebecca! We have definitely become a supplement world in many cases. This is great! I’ve been researching soy more in depth lately, especially on how it affects hormone levels. I tend to side with the same “rules” as you. I don’t seek soy products out but sometimes I do enjoy miso soup and I use tamari often. I just make sure it’s non-gmo! I miss soy. I still have it very limitedly but was told to cut it a couple years ago for hormone and thyroid issues. Maybe with all the new news out there I won’t have to cut it forever, wishful thinking. 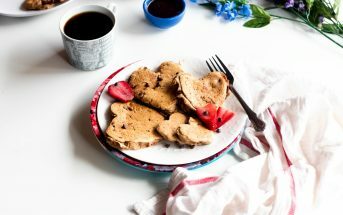 Yes, I read TONS of studies related to hormones and thyroid – no effect that I could find – aside from the above noted on potentially decreasing the absorption of thyroid medication if eaten around the time of taking your medication. I went through that myself Sarah – eventually just balanced out, no diet changes needed. I hope you find the solution! This is such a helpful post! So much great information and well needed! Great article! I feel like there are always so many myths floating around out there about foods. (I need to write one of these about agave!) I too eat soy from time to time- in small amounts- somehow I’m actually not allergic to it. Thanks for covering this topic so in depthly! Yes, you do! I’d be fascinated to read that Emily. I often wondering about soy products, I love that you showed both sides to them! THANK YOU for this! It’s so informative and helpful. I’m so tired of people talking about soy like it’s the worst thing on the planet. Happy to provide whatever help I can 🙂 And I agree Dianne – it’s amazing to me how foods get put up on a pedestal or lambasted as evil – people seem to forget the middle healthy ground is closer to our daily reality. In your research, have you come across anything about soy affecting testosterone levels? I’ve heard of this happening in males and, being a male myself, obviously I’m concerned about this. Hi Keith, I didn’t want to get in too deep on the studies here, as you really can write a book on the topic! The only studies I could find on men and testosterone levels again used high-levels of soy protein isolate supplementation. To put that in perspective, one study claimed to be studying “dietary soy”, but the participants were given 56g or soy protein isolates (in packets) per day. That’s equivalent to 7 cups of soymilk without any of the other nutrients and micronutrients that may work in unison and affect how nutrients are absorbed and used by the body. That said, I found a study that said testosterone decreased and a study that said it didn’t decrease at all – both with high-soy supplementation. Also there were a few studies that said it notably decreased prostate cancer risk (again, with high soy protein supplementation), and nothing that I found to the contrary of this. I hope that helps to answer your question! Thanks for following up – I appreciate it! I loved this SO much!! 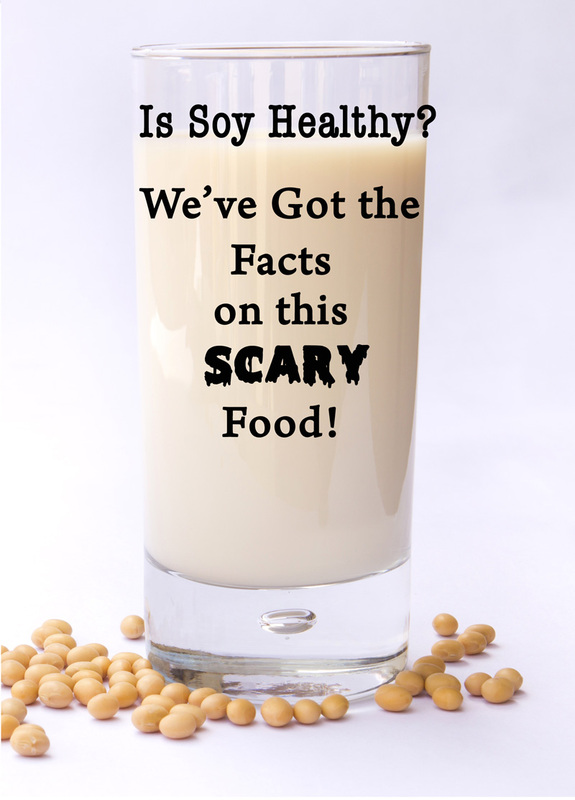 My family eats a ton of soy – we have tofu regularly, drink soy milk, eat edamame, etc. My husband and son are both incredibly healthy, and my kid’s pediatrician even recommended 2 servings of soy per day to him. I’m so glad to see folks spreading the good word about soy – it’s gotten such an undeserved bad rep. Thank you for sharing this Becky!